Ships today if you order in the next 14 hours 54 minutes. 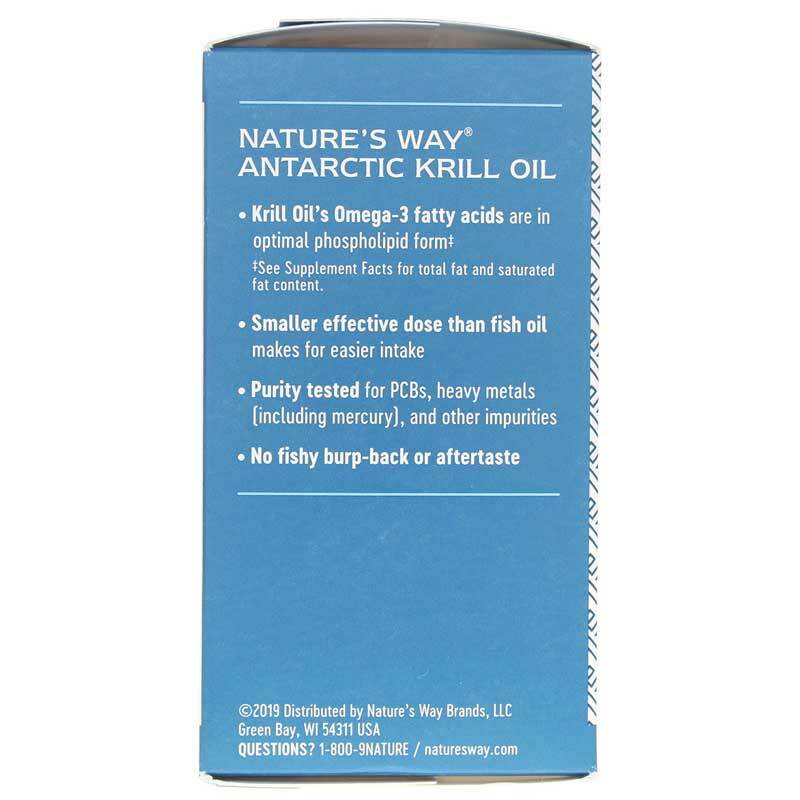 EFAGold Krill Oil by Nature's Way is the highest quality Krill oil - guaranteed to contain Omega-3 fatty acids: Eicosapentaenoic acid (EPA) and Docosahexaenoic acid (DHA), phospholipids and Astaxanthin from cold extracted Antarctic Krill. 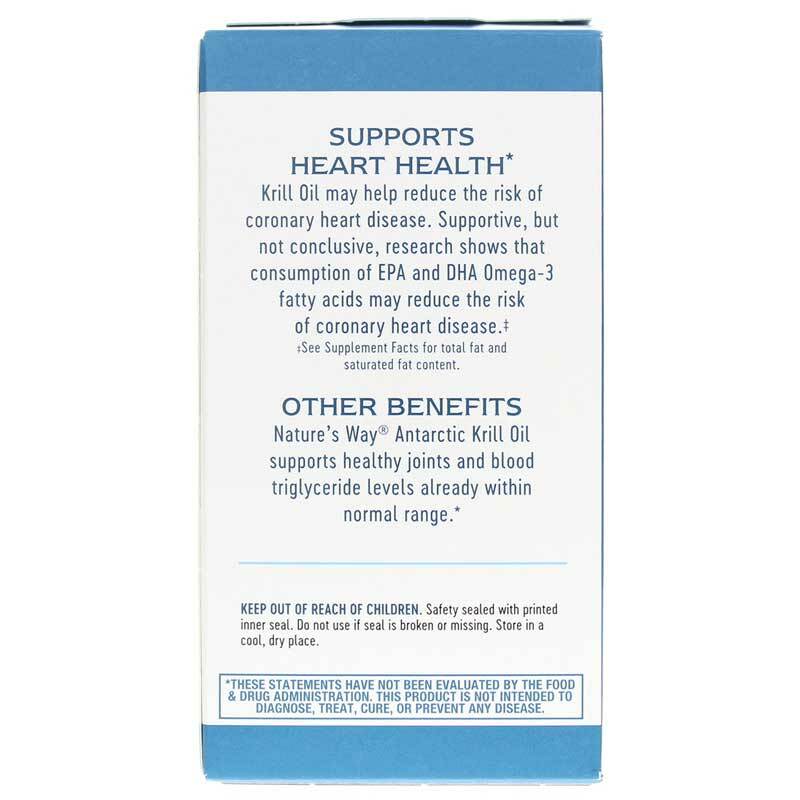 Support for cardiovascular health and helps maintain healthy blood cholesterol levels already in the normal range. Purity Tested. No solvents, gluten, sugar, yeast, wheat, corn, soy, dairy products, artificial colors, flavors or preservatives. Contains NO: gluten, sugar, yeast, wheat, corn, soy, dairy products, artificial colors, flavors or preservatives. 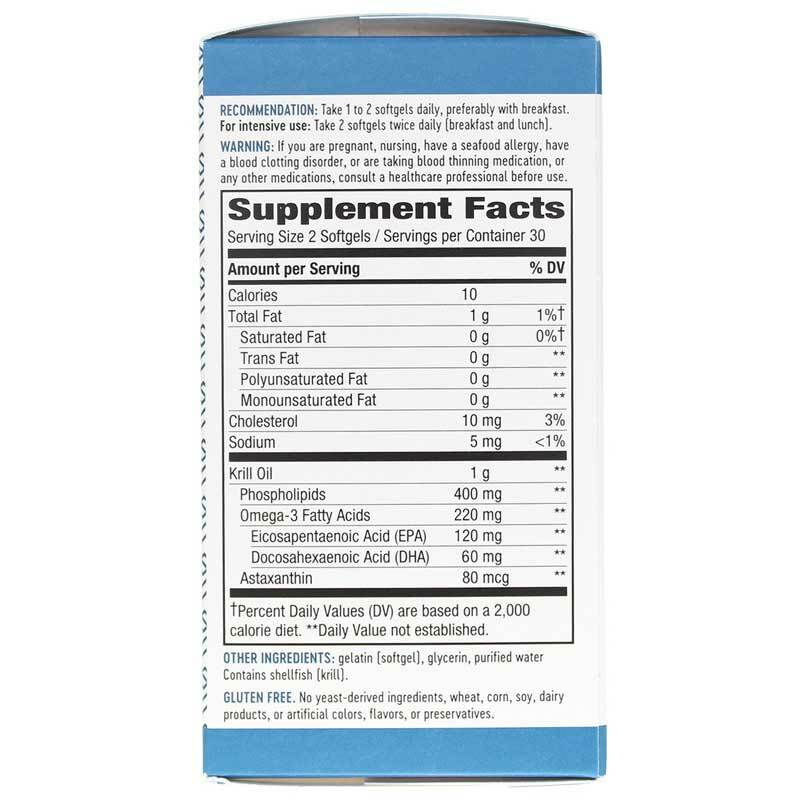 Adults: Take 1 to 2 softgels daily, preferably with breakfast. For intensive use: Take 2 softgels twice daily (breakfast and lunch). 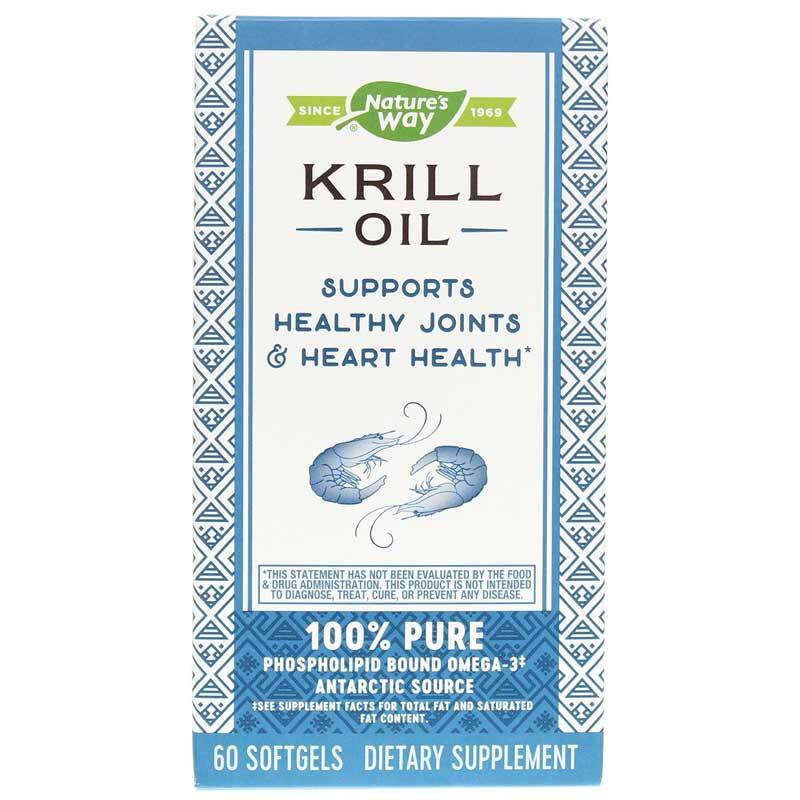 People with seafood allergy, coagulopathy or taking anticoagulants or other medications should consult their doctor before taking this product. If you are pregnant or nursing, please consult your healthcare professional before using this product. Keep out of the reach of children.